With more than 14 years of experience we are engaged in providing our clients with superior quality range of Stickers and Labels. We are Gandhinagar (Gujarat) based manufacturer and exporter of Flexible Membrane Keypads, PCB Backed Membrane Keypads, Graphic Overlays & Decals, Vinyl Labels, Dome Labels, Metal Labels, Mimic Panel Diagram, EL Backlighting, Metal Nameplates, Reflective Signs. We have established a steady cooperation relationship with the domestic and International well-known customers, such as L & P Automotive Group, Dunlop, ABB,L & T, Protek etc. The products we offer is widely used in the areas like multinational companies, automobile, electronic, shopping malls, hotels and at many other places. 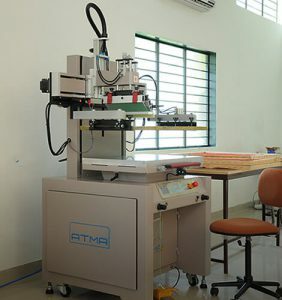 We also offer customization facility to our clients, so that they can avail the products as per their specifications. With the assistance of our integrated manufacturing unit, and support of our diligent team, we have been capable of carving a niche for ourselves in the domestic as well as international market. Our company is continuously progressing under the proficient guidance of our mentor, ‘Mr. Jitendra Patel’ Due to his sharp business acumen and leadership abilities, we have acquired a huge client base in national as well global market. With our vast experience and technical expertise in the field we have been able to establish ourselves as one of the trusted and reliable names in the market. We can also assist our clients with their product challenges as innovators. With an integrated manufacturing we have been capable of producing a flawless range within a stipulated time frame. Our main motto is to cultivate credible relationships with our clients, and for the same we strictly follow client centric measures and offers exceptional quality, dedicated customer service, rapid turn times and competitive pricing.